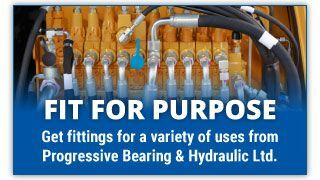 Welcome to Progressive Bearing & Hydraulic Ltd.
Progressive Bearing & Hydraulic Ltd. is your complete supplier of high-quality industrial products at competitive prices. In addition, our personalized technical service is second to none. Stop in at our well-stocked warehouse to experience the Progressive Difference! 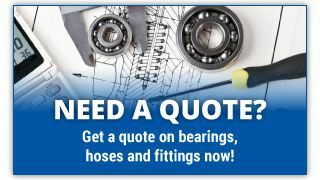 We have a great range of bearings, electric motors, industrial supplies, as well as hoses and fittings for almost any application! You’ll find us in the Edgar Industrial Park on the main road. Our premises are wheelchair accessible and we offer free parking! 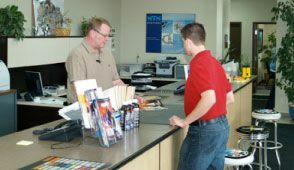 If you have a question and need an answer quick, just give us a call!